It's time for a new challenge on the Your Next Stamp blog. 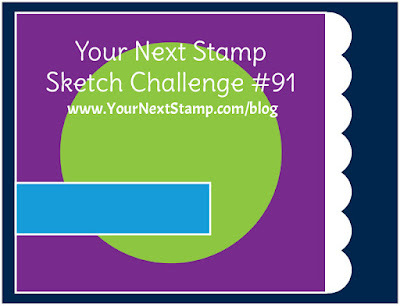 This week we have a Fun new Sketch and Color Combo to choose from or you can mix them up and use them together. 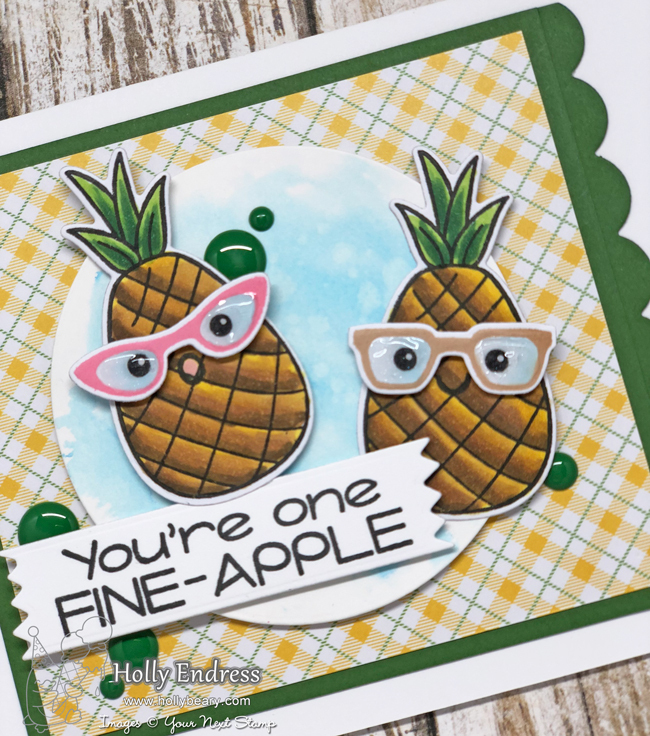 I used the Sketch portion this week along with the new Punny Pineapples stamp and coordinating die set. I created a White card base and then I added some Pattern paper from the Summer Plaid 6x6 paper pad mounted on a piece of Dark Green cardstock. I created the scalloped edge with the Little Ledges die set. I die cut a circle from some watercolor paper using the Circles die set and I added some Salty Ocean Distress Ink to the background. I adhered the circle over the plaid paper in the center. I stamped the pineapple images onto some X-press It blending cardstock with Black Olive ink and colored them in with Copics. Then I used the coordinating Punny Pineapple Dies to cut them out and adhered them to the circle with some foam tape. 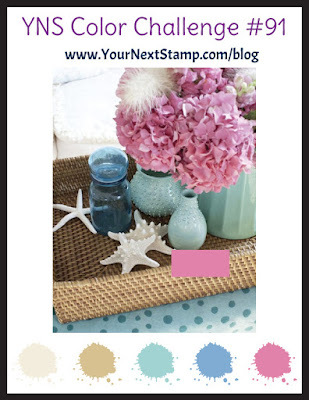 I stamped the glasses in some Almond Latte and Cherry Blossom Inks and cut them out. I added some Clear Nuvo Drops to the lens to create a glass look. Then I adhered them with some more foam tape. 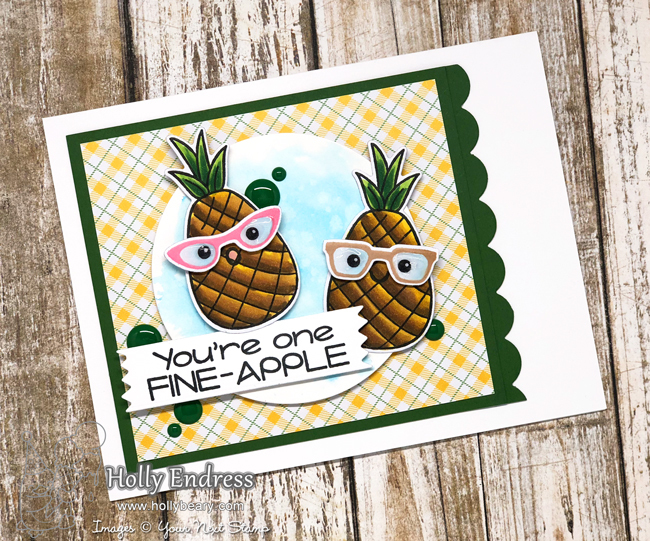 I stamped the sentiment onto some White cardstock and used the Washi Tape Die to cut it out and adhered it over the lower part of the circle. I added some retired Pine Gumdrops for an extra pop of the Green. So cute!!! Head over to the YNS Blog for more inspiration using the Challenge and be sure to Link up with us for a chance to Win a Gift Certificate to the Store.